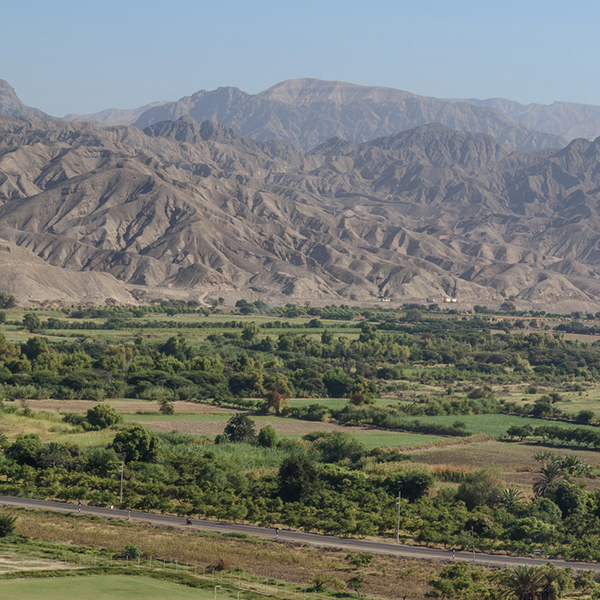 The Ica Valley is the home of Pisco Viejo Tonel and where our grapes are grown and distilled into Pisco. Native Peruvians first farmed in Ica starting over 10,000 years ago. The Wari, Nazca, Ica and Paracas cultures developed over time and flourished in these valleys. The Nazca culture developed the famous hieroglyphs which can only be clearly seen from the air. The Nazca and Ica rivers are fed by summer rains in the highlands but may otherwise be dry for parts of the year. As a result of these weather conditions, these ancient cultures developed aqueducts that made use of underground water, rivers and rain for raising crops. In the 1400’s this fertile valley came under the rule of the Incas. However, Inca control would not last, as Spanish conquistadors arrived and founded the city of Ica in 1563. They named it Villa de Valverde de Ica, which means City of the Green Valley of Ica. Since the arrival of the Spaniards, this valley became an important agricultural area known for its grapes and other crops. The first vineyards of the New World were planted in Ica and Pisco was developed as the first unique spirit distilled in the Americas. Peruvians often refer to the Ica region as, “the land of the sun”, and other agricultural harvested here include asparagus, citrus and olives. The Wine Festival (Festival de la Vendima) is celebrated in March and includes celebrations, competitions, music, fairs and processions. The traditional pressing of the grapes by the Queen of the Wine Festival and her Court is one of the highlights of the Festival. Over time, Pisco production has spread to other areas of Peru besides the Ica Valley.